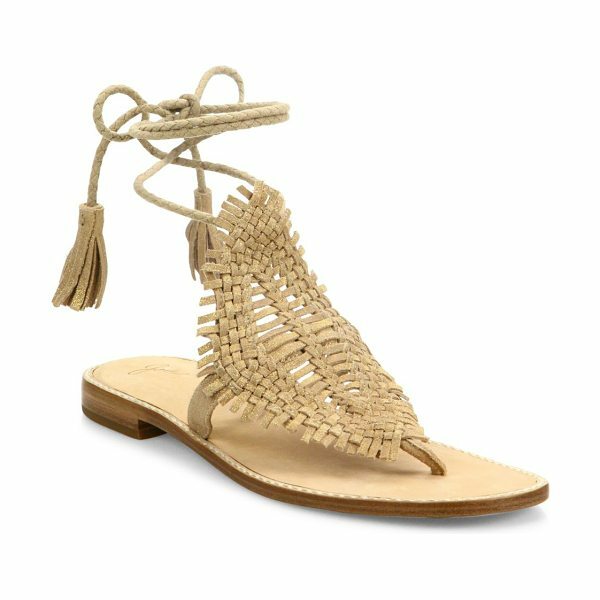 Boho-chic huarache suede sandal with braided tassel tie. Metallic tumbled suede upper. Wraparound ankle ties. Leather lining and sole. Padded insole. Imported.